The goal of ecological and social sustainability in design encompasses a system change that requires a rethinking from linear to circular processes. The underlying thinking model of a circular design is to be conveyed in an understandable way and described for various stakeholders (designers, manufacturers, customers and politicians). What requirements must be met in order to initiate system change? What can the first steps look like that can already be implemented today? 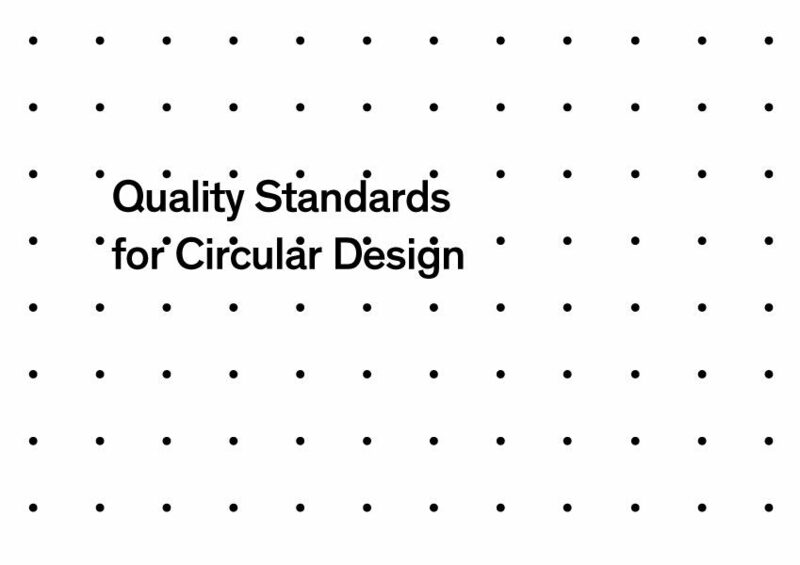 The goal of the publication “Quality Standards for Circluar Design. 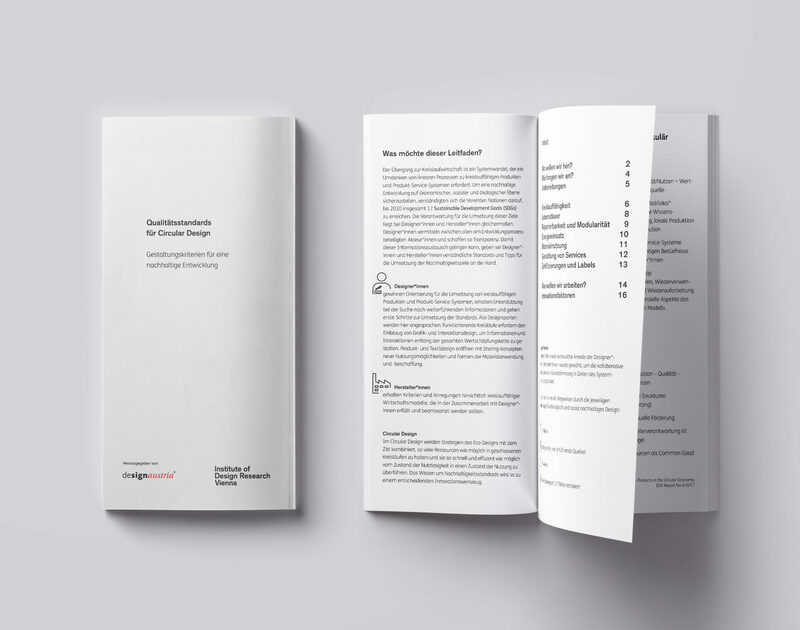 Design criteria for sustainable development”, published by the IDRV and designaustria is to achieve a high motivation of the readers in the implementation and deepening of knowledge. Transparency and the willingness to share experiences are particularly in focus. The publication aims to be a standard work for circular design, to serve as a work and aid, as well as to create the necessary awareness. Quality Standards for Circluar Design. Design criteria for sustainable development.